You'll find all our products here plus other great things we've found to help your bottom line. Enjoy! Special Member's Only Pricing: JRB Network members enjoy 10% off the prices listed here. Simply make sure you use the email address that we have on file for you. When you click on "Review Order" you will see the discount reflected. If you are not a member yet, you can sign up instantly by clicking here. Finally . 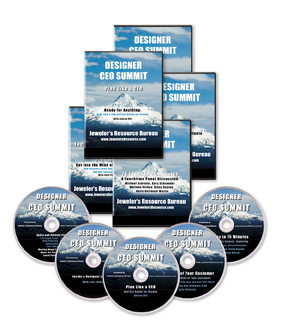 . . How to grow your designer business faster and smarter -- even in this economy!